The last week has been an amazing luxury. Since Wednesday, the amazing staff at WolfLake Ranch, prepared and served 3 hearty and delicious meals each day to myself and my family. Even better, they cleaned it up too! A proper vacation post is in the works but I loved not having to cook or clean over the last few days. My family has been going to the ranch for 25 years and I see now why my mom loved it so when we were kids. I did have one especially notable food experience while on vacation. Around 10:30 PM on Saturday, a handful of us were sitting around the campfire when my dad said “I wonder if we could re-heat that Crave Case of White Castle Sliders* in the fire?”. It's a suitcase of burgers. I hope the genius that came up with this idea got a huge bonus. Given that most of us were at least kind of drunk, this seemed like a fabulous plan. 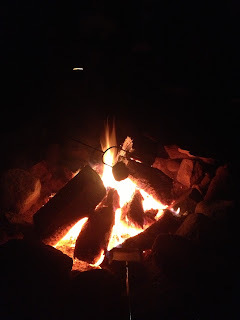 We tried two methods: First, stabbing them with a stick then thrusting it into the fire like one would roast a marshmallow. This made for a hot, crusty exterior but ice cold interior. Like a Hot Pocket. Slider on a stick. Sorry for the terrible picture. If you look close you can see it. The second method required more patience but made for a delicious charred slider. We (and by we I mean my Saintly Husband who had spent the last hour drinking boxed wine out of a water bottle) stuck the slider in a campfire pie iron, and roasted it in the coals until hot and crispy. Delicious. As an added bonus, no one died from botulism. 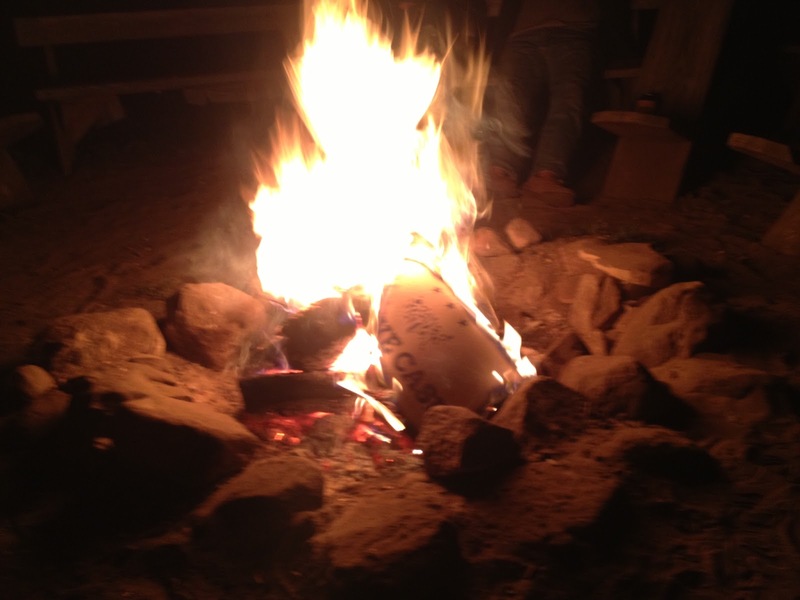 Later, we burnt the case, thus making the entire ranch smell like White Castle. That being said, we’re back to normal now and I need to start cooking again. Most of these meals will be for my boys, as starting Wednesday, I’m doing the Dr. Oz 3 Day SmoothieDetox to help my body recover from a vacation filled with poor dietary choices like boxed wine and White Castles reheated over open flames. I’ll blog about the detox as I do it. 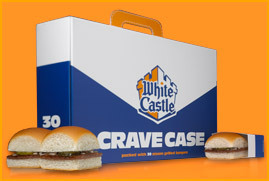 *Pay no mind to why we had a 3 day old Crave Case in the cabin fridge when the nearest White Castle was hours away. Also, pay no mind that one cousin volunteered to eat one several hours earlier to make sure we wouldn’t get sick if we decided to break them out later in the evening. Bwahahahaha! This was fantastic. Now I know what I want to do over a fire this autumn. I technically had a bottle of wine. It just started in a box.